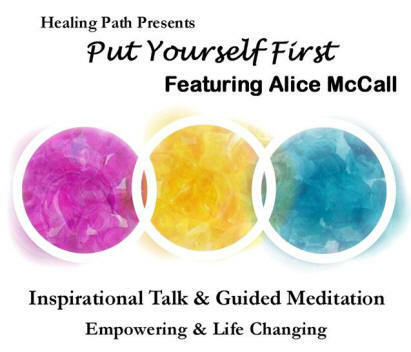 Healing Path with Alice McCall | What's on a CD? 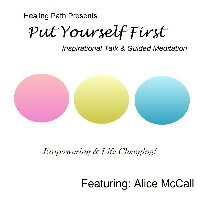 All of Alice's CDs contain meditations that correspond with the topic of her inspirational talk. 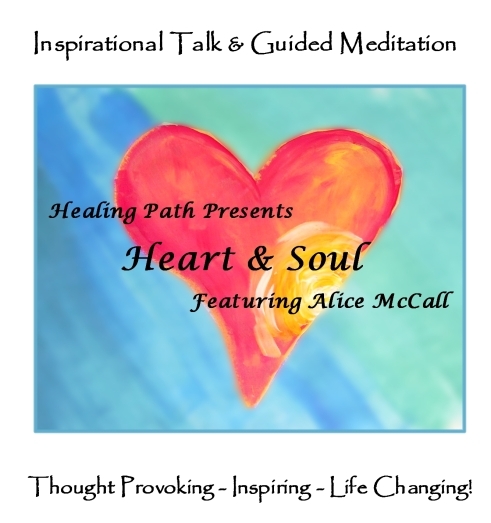 An individual description of each CD can be found below, but Alice wanted to share why she believes that meditation is so important along with an explanation of her style of meditation. Meditation has long been used as a tool to balance the mind, body, spirit connection. For people that have busy, always thinking minds, meditation is an opportunity to slow down, and listen to your inner voice. Even for those that know and recognize the importance of meditation, it is often hard to stop their lives, and achieve a meditative state without help. My clients tell me, that my guided meditations help them relax and reduce daily stress. They all report a sense of balance, calmness and renewal afterward. 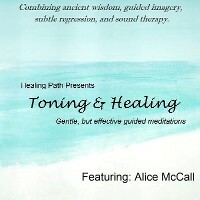 In addition to guiding the mediation, I use a technique called toning. Using my voice, I hold and sometimes manipulate a note. Each sound is specific and corresponds with certain energies or chakras. Toning also runs energetic interference with your active mind and thoughts. This allows you to stay focused within the core of yourself and assists you in staying in the moment. Because of this, each time you use my mediations, it is a one of a kind experience. Contact Alice if you have any questions, or if you would like to purchase the CD’s in a large quantity or for wholesale purposes. Includes some of the concepts and exercises explained Wellness Wisdom. 'Body Wellness' Features: Guided energy support for key body areas related to health and healing. A technique for energetic cleansing of the lymphatic system. Breathing exercises designed to oxygenate the body on a cellular level. Meditations designed to facilitate transformation. Looking for health maintenance, anti-aging, and healing support? 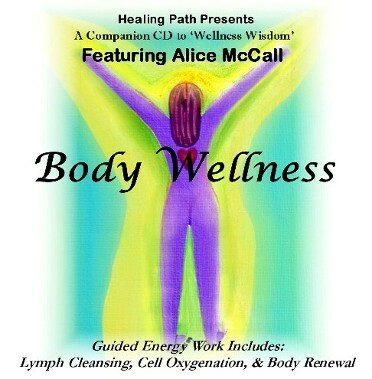 Get all that and more from Alice's 'Body Wellness' CD. 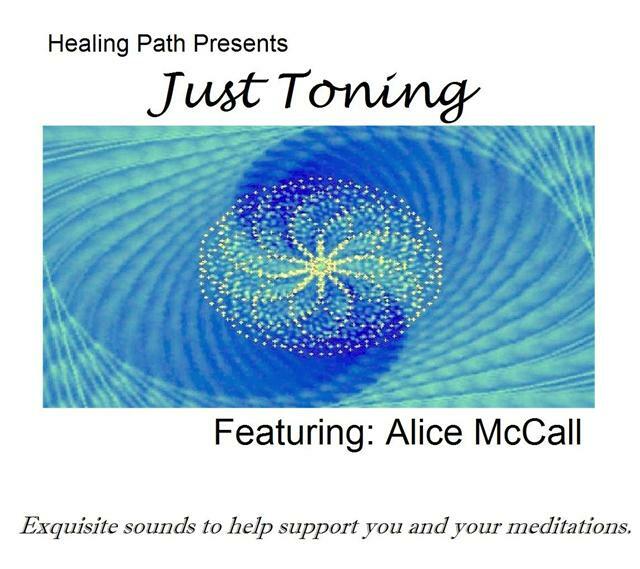 Two separate guided mediations utilizing Alice’s signature toning technique. The first is “The Beach,” a balancing journey that helps you release the negative thoughts and emotions you are holding on to, renewing you with the healing energy of the beach. The second meditation is “The Reflective Pool,” which helps you get in touch with your innermost heart and soul to discover inspiration that is unique for you. This popular CD includes an inspirational talk, focusing on the importance of following your heart and listening to your soul. This is followed by a guided mediation that facilitates your ability to receive wisdom from you heart and soul. It will inspire you to start a practice of listening to your heart for guidance and decision-making! Want to maintain your energy? Want to create a routine to help you feel balanced? 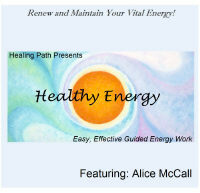 Alice’s “Healthy Energy" CD is a great maintenance program for you! The first track, ‘Daily Renewal’ aims at helping you remain grounded, centered, and balanced. The second track, ‘Weekly Chakra Tuning’ focuses deeply on your chakras and keeping them in optimal condition. 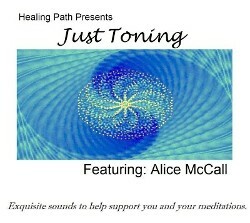 A full 46 minutes of healing tones to help you sink deeper into your meditations. Alice's powerful sound vibrations will facilitate a one-of-a-kind experience for you! Or use this CD to transform the energy within your home to one that is lighter and more positive.